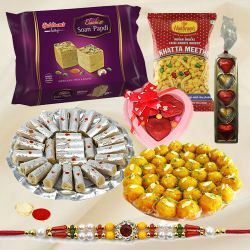 Description : Deck the beautiful relation you share with your siblings and dear ones by sending them this Dashing Rasgulla Treat Raksha Bandhan Hamper on Raksha Bandhan, that comes with a free Rakhi, Roli Tilak and Chawal. 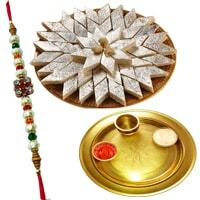 This delightful Hamper is prepared with 1 Kg. 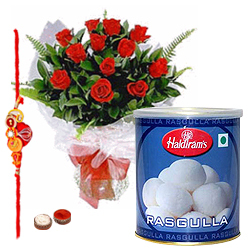 Rasgulla and 12 Red Roses. 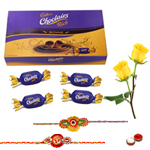 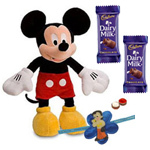 It is complemented with One Free Rakhi with it. 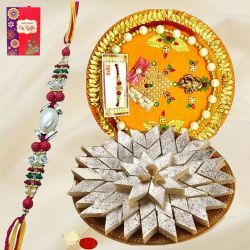 Deck the beautiful relation you share with your siblings and dear ones by sending them this Dashing Rasgulla Treat Raksha Bandhan Hamper on Raksha Bandhan, that comes with a free Rakhi, Roli Tilak and Chawal. 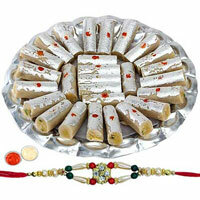 This delightful Hamper is prepared with 1 Kg. 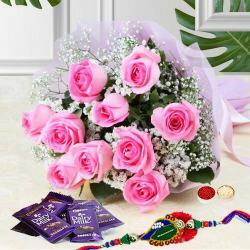 Rasgulla and 12 Red Roses. 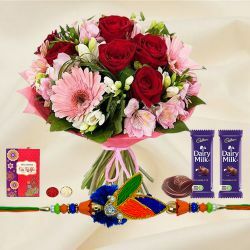 It is complemented with One Free Rakhi with it.